This practical book provides everything you need to know about the Extensible Messaging and Presence Protocol (XMPP). This open technology for real-time communication is used in many diverse applications such as instant messaging, Voice over IP, real-time collaboration, social networking, microblogging, lightweight middleware, cloud computing, and more. 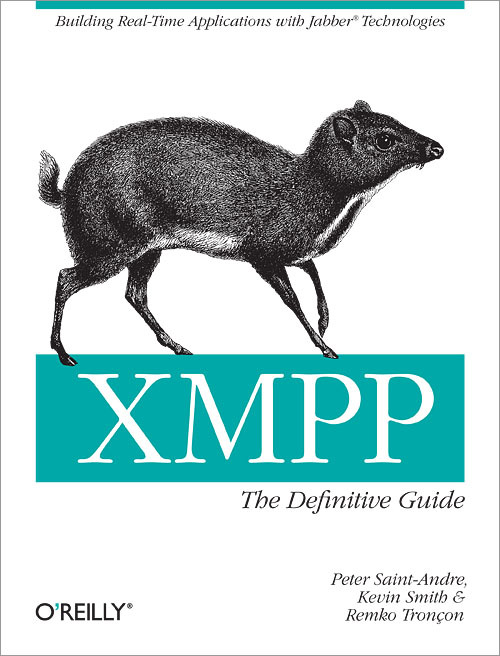 XMPP: The Definitive Guide walks you through the thought processes and design decisions involved in building a complete XMPP-enabled application, and adding real-time interfaces to existing applications. You'll not only learn simple yet powerful XMPP tools, but you'll also discover, through real-world developer stories, how common XMPP "building blocks" can help solve particular classes of problems. Every day, more software developers and service providers are using XMPP for real-time applications, and with the help of XMPP: The Definitive Guide, you can, too. Payloads: To Send or Not to Send? Items: To Store or Not to Store? Is XMPP the Right Choice? A CheshiR Server Module or Dedicated Server?